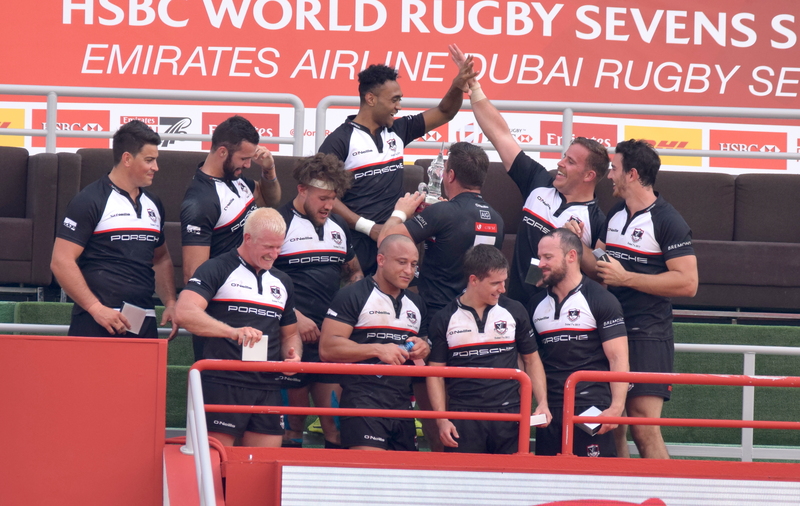 Exiles won the Dubai Sevens and UAE Premiership crowns last season. Ed Armitage is aware it will take a “huge effort” from Dubai Exiles to topple the West Asia Premiership’s early season pacesetters Bahrain. The Yorkshireman says the west Asia side have proven themselves the “team to beat” in the initial two rounds of the 2018/19 season, but he is adamant his side will go for it, especially playing at home. “Bahrain are coming off their Asia Rugby Western Clubs Champions League win and two convincing wins in the league too, proving themselves the team to beat,” said the Exiles scrum-half, who has returned to the UAE after a year working back home in the UK following the completion of his law degree. Exiles beat Dubai rivals Hurricanes 45-26 last week to get their first win after going down narrowly to champions Jebel Ali Dragons in week one, losing 20-14. Bahrain may be the team to beat, but Armitage is aware they have to come to The Sevens. Jordan Viggers impressed again on the weekend with another rugged and unrelenting performance in both attack and defence. A slicing run through the Eagles defence was the cherry on top that has earnt him this week's honours as Man of the Match. “They don’t have their huge support, so we’ve simply got to go out there and run them off their feet. I back our fitness to just go for it,” he added. Bahrain are perfect after two games, with two bonus-point wins in the bag following a 24-14 victory at Abu Dhabi Harlequins and a big 52-16 triumph at home to Dubai Eagles a week ago. Louie Tonkin led his side to an eventually comfortable 47-25 win in last season’s West Asia Cup final, although the scoreline flattered the victors, with Exiles having given them a real test. And Tonkin isn’t sure what to expect from Jacques Benade’s men after two differing results. “It’s been a really tough two weeks for us. 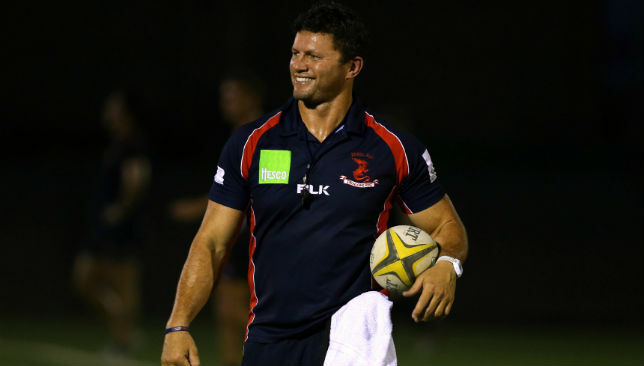 We’re a bit banged up but excited to come to The Sevens for the first time, it’s a great place to play,” said Tonkin. Elsewhere, Quins coach Mike McFarlane says his side’s tremendous 46-22 win over Dragons in Jebel Ali last week counts for little if his men don’t follow victory up with another on Friday. His side travel to Dubai again to take on Eagles, and McFarlane labelled it a “massive game”. “We’re chuffed with last week’s performance, I felt we executed a carefully prepared game plan, but unless we put on another big performance, it makes nothing of last week, so we’re looking to follow it up,” he said. Life after Henry Paul hasn’t got off to a great start for Dragons. “We’ve come out unfortunately with more injuries, three, including Siri (Number 8 Laladidi) who’s done his ACL, Rickus (Swart, scrum-half) will be out for a long time too with neck and shoulder injuries following a horrendous late tackle last week. As for Dragons, they will be desperate to put last week’s defeat behind them having started their season in pretty uninspiring fashion, with a narrow six-point win over Exiles hardly dominant. “It’s always good to play a local derby. We need to put things right after a rough one last week v Quins,” said scrum-half Ross Samson. Dragons travel to The Sevens to take on Canes on Thursday. Japan’s stunning 2015 World Cup victory over South Africa is to be turned into a film with the working name of ‘The Brighton Miracle’. 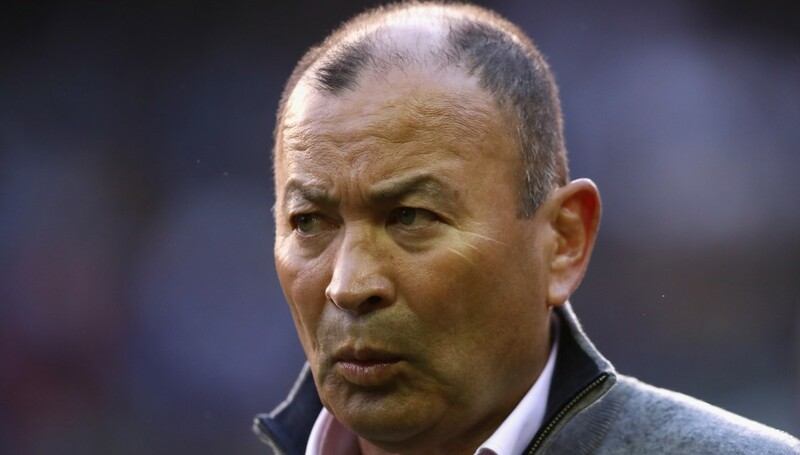 New Zealand actor Temuera Morrison is to play Eddie Jones, England’s current head coach who masterminded the 34-32 triumph at The Amex that was secured when Karne Hesketh crossed in the final minute. The result is considered the greatest upset in rugby history and enabled Jones to succeed Stuart Lancaster at Twickenham after the tournament. Filming is expected to begin in January on the Gold Coast with award-winning Australian writer and director Max Mannix overseeing the project. 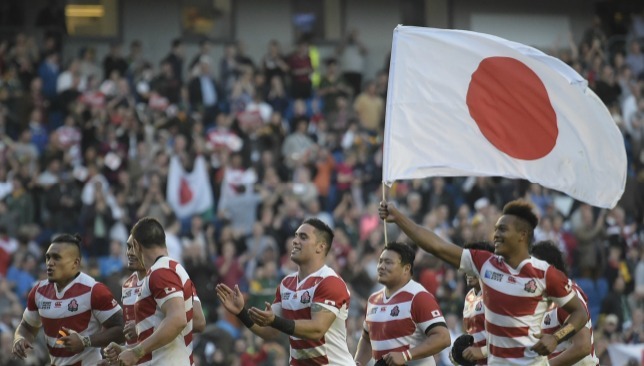 Mannix believes Jones’ background helps explain Japan’s transformation from a team with only one World Cup win in 24 previous attempts into the first side not to reach the quarter-finals despite amassing three pool victories. “Eddie understood humiliation because he had lived it,” Mannix told Kyodo News, in reference to the 58-year-old’s experience of racism when growing up in Sydney. 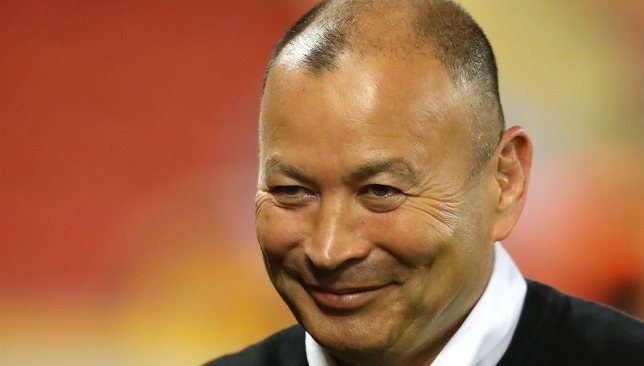 Japan’s stunning win earned Eddie Jones the England job. “He is a complex character and I wanted people to see why that is. Jones, who is the son of an Australian father and Japanese mother, revealed on Wednesday that the inspiration for his successful reign as Japan coach came from Spaniard Pep Guardiola. It was during a chat with the current Manchester City manager that his tactics for the Brave Blossoms were crystallised. “When I was coaching in Japan, the biggest influence on me was Pep Guardiola,” Jones told the O2 Inside Line. “He had that Tiki-taka football and in Japan we had to find a way to beat bigger teams as we were small and it was only through moving the ball quickly that we could do that. 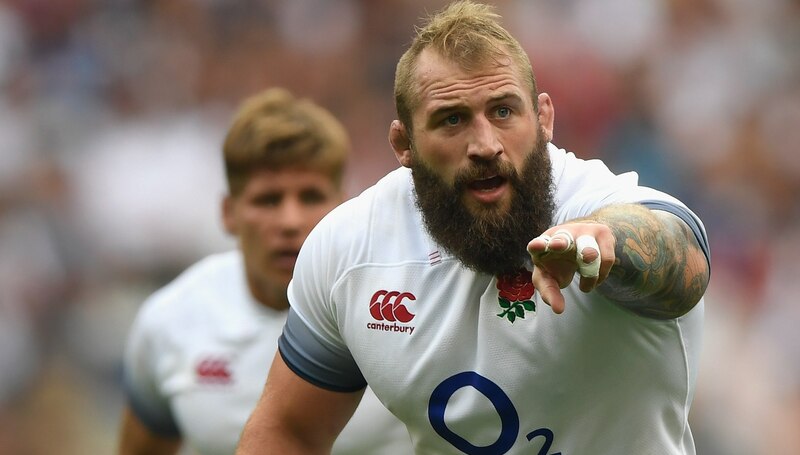 Joe Marler has announced his international retirement. Joe Marler has revealed the anxiety caused by departing for England duty would drive him to get himself deliberately sin-binned or sent off. Marler announced his international retirement last week in order to spend more time with his family but he will continue playing for his club Harlequins. It was during a defeat at Bristol on September 22 that the combustible loosehead prop decided his 59-cap Test career was over. The day after the 20-13 loss at Ashton Gate, Marler phoned coach Eddie Jones to inform him of the news as England were gathering for a three-day camp ahead of the autumn series. “First of all, the Bristol game, I played like an absolute helmet, which often happened around England time,” Marler told The Rugby Pod. “That sort of mindset manifested… the anxiety I’d get about having to leave and go away again would start to manifest in giving away even more dull penalties and looking for outs. “(I was) looking for a yellow card and looking for a red card because if could pick up a ban then that was an easy way out without actually pulling the trigger. “After that game, I said I can’t keep doing this… I can’t keep doing this roller coaster. It’s not fair on my family and it’s not fair on my club. “I rang Eddie up on the Sunday and was pretty honest with him. He said, ‘I appreciate your honesty, good on ya, all the best’. It was short. Marler received a yellow card against Bristol for leading with his forearm, risking a ban that might have ruled him out of England’s penultimate training camp before their November opener against South Africa on November 3. The 28-year-old was suspended for three weeks for use of the elbow against Wasps in 2017, ruling him out of the first two games of the autumn against Argentina and Australia. And for this year’s Six Nations he was forced to miss the opening two rounds due to a six-week ban incurred for the red card shown for a dangerous clear-out at a ruck against Sale in January. “I’d just had enough. I’ve got a young family. I’d really enjoyed my time with England, but my family is my priority,” Marler said. “When I had kids it completely flipped my perspective. I need to be around more – half the year I’m away. “You might as well write this year off. It’s a huge year – World Cup, Japan. Yeah you talk about the coin and the earnings, but you can’t buy back the years or parents’ evenings or the stuff you’re potentially missing out on. “I’m not knocking the boys for doing it because that’s what they want to do and the drive that they have. I don’t have that drive. “My drive is to be with my family and enjoying being a family and to focus on my club commitments. That will take a level of sacrifice as well and I couldn’t do both. “If those 31 blokes in a year’s time are lifting up a trophy (at the World Cup) and I could potentially have been a part of that group, how will I feel?